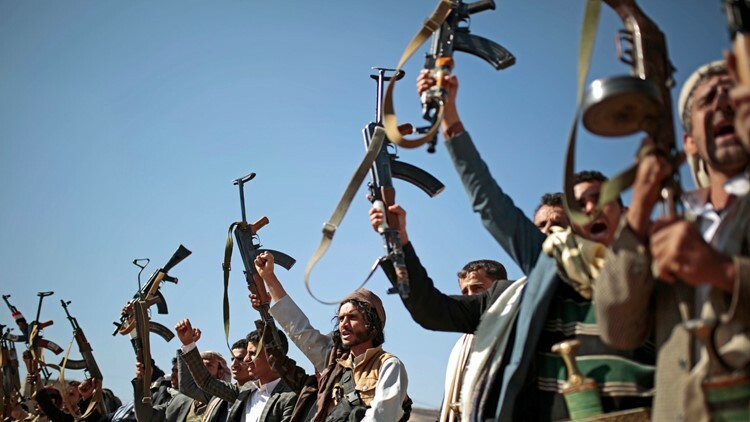 In this Dec. 13, 2018, file photo, tribesmen loyal to Houthi rebels hold up their weapons as they attend a gathering to show their support for the ongoing peace talks in Sanaa, Yemen. The House is debating a resolution to force the Trump administration to withdraw U.S. troops from Yemen. WASHINGTON — Asserting congressional authority over war-making powers, the House passed a resolution Wednesday that would force the administration to withdraw U.S. troops from involvement in Yemen, in a rebuke of President Donald Trump's alliance with the Saudi-led coalition behind the military intervention.